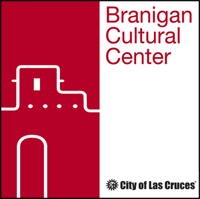 The Branigan Cultural Center presents a hands-on workshop on Yoyo Quilting to close out the quilting exhibit on Saturday, March 21 at noon. Participants will learn about this popular technique for creating quilting segments without the use of a sewing machine! This workshop is free and supplies are provided, but registration is recommended, as space is limited. Please bring your own small scissors to the workshop. Throughout the run of the exhibit, every Wednesday and Saturday, 9am-noon, a group of quilters from Las Colcheras will work on a large quilt in the gallery. They will be present to answer questions and assist viewers in the exhibition, as they demonstrate quilting techniques. Las Colcheras Quilt Guild is dedicated to promoting the art of quilting in the Mesilla Valley. The Guild endorses the philosophy of community service and engages in activities that support that philosophy. Each year, they issue a guild quilt challenge, followed by a judging for rosettes and cash awards. Entries are displayed publically in Las Cruces in the months of January or February, a tradition dating back to 2005.